JQ Talks: Nail Fungus Is Real. How To Check, Treat And Prevent? Nail Fungus Is Real. How To Check, Treat And Prevent? Does your nails look like this? Fungal nail infection or fancily known as Onychomycosis, is a fungal infection of the finger or toes nails. Research in UK shown that 3 and 8 out of 100 people will encounter this infection at some stage of their lives. It's more commonly affect people of aged 55 years and above and younger crowd who share communal showers and work-out fanatics. It's also said that toenails are easier to get affected as compared to fingernails and once you're infected, it won't just go away without treatment. If you scratch your infected toenails or toes. You keep your fingernail in water for too long or wash your hands too frequently. For example, excessive washing or cleaning may damage the protective skin at the base of the nail which may allow fungi to enter. Your toenails may have been infected by athlete's foot (fungal skin infection of the toes). Wearing shoes that cause your feet to get hot and sweaty and leaving it that way for way too long. Get infected from other people's infected toes. This may happen in communal showers from your gym or swimming centre. A damaged or injured nail have higher chances to get infected. Certain health conditions such as diabetes or psoriasis. 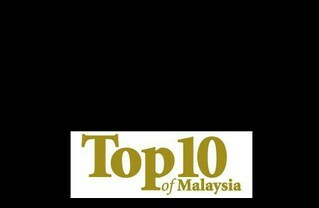 Living in hot, humid climates (like Malaysia). Smoking also increases the risk for nail infection. Some cases, it might just be your luck. Fungus germs (fungi) are common and it may just suddenly infect your nails. #FunFact: Getting infected is not always due to the lack of hygiene. Nail turning white, black, yellow or green. #FYI: It may not be painful in the beginning (or in some cases, even at all) but it will look ugly which may affect your confidence. However, it's highly advisable to see a doctor if the infection hurts. Two common tablets are Terbinafine and Itraconazole, they are used to treat fungal skin infection too. However, these tablets may cause side-effects to some people. Thus, it's not suitable for everyone. This is an extreme move when every other treatments failed. An operation to remove the infected nail and anti-fungal medication will be prescribed after the operation. An easy topical treatment for fungal nail infection that contains Amorolfine to kill infections caused by the three types of fungi which are dermatophytes (most common), yeasts, and moulds. Just take note that they don't treat all types of fungi. Loceryl® nail lacquer (RM99.80) is one brand from France that's easily accessible in major pharmacies nationwide. It contains 5% of Amorolfine and the anti-fungal effect is sustained for a minimum of 7 days within the nail. It's easy and convenient to use with just once weekly application. 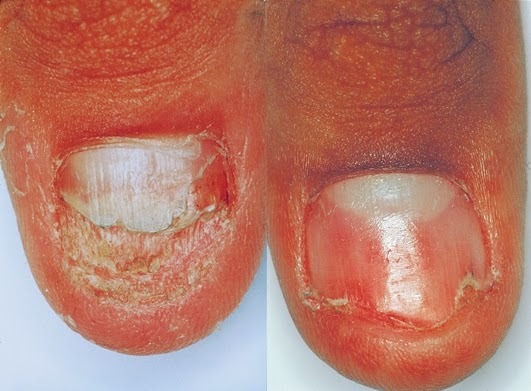 The infections on the fingernail normally takes 6 months to treat while the infections on the toenail takes 9-12 months to heal as you'll need to wait for the nails to grow out before you can trim the infected part off. It's safe to use and have minimal side effects. 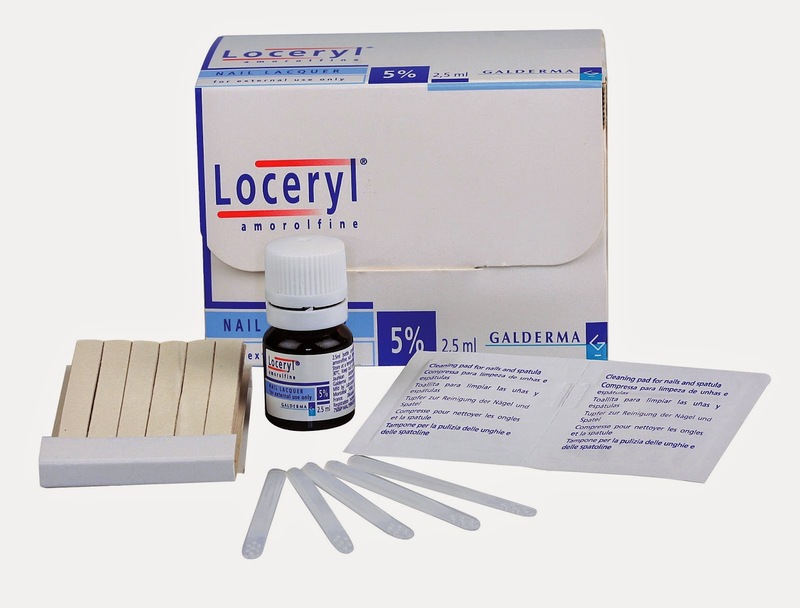 Each box of Loceryl® contains a nail lacquer, nail files, cleaning pads and reusable spatulas. #FYI: These nail lacquers doesn't help to promote nail growth, it's just merely an anti-fungal treatment . Think of it as your tea tree oil for your pimples. #Don't: It's not encouraged to apply any other nail treat treatments such as nail thickener or nail growth lacquer on top of the anti-fungal lacquer. It's best to only focus on the anti-fungal treatment and allow the infected nail to grow naturally. After filing, clean the surface of the nail with a cleaning pad. Leave nail to dry about 3-5 minutes. Clean the spatula with cleaning pad and discard cleaning pad and nail file. Continue the treatment without interruption until the nail is regenerated and the infected areas are visibly cured. Try to avoid injuring your nails due to the risk of infection. Wear footwear (such as flip-flops) in public places such as communal showers, locker rooms and etc. Replace your old footwear as they might have been contaminated with fungal spores. Wear gloves when doing chores such as washing or cleaning. Try not to keep hands and feet in a damp environment for too long. So don't ignore your nail problems! Let's take better care of our nails! The answer goes back to the favorite haunts of fungus. Fingernails live out in the open air and toes spend most of their time in the deep dark and moist recesses of your shoes and socks.